Muller Beltex has many years of experience and global expertise in the bulk and process industry. That is why we, as a renowned knowledge and service provider, are often approached by equipment manufacturers and end users who are encountering problems with their equipment. Their questions may involve durability, the wish to reduce excessive wear or capacity issues. 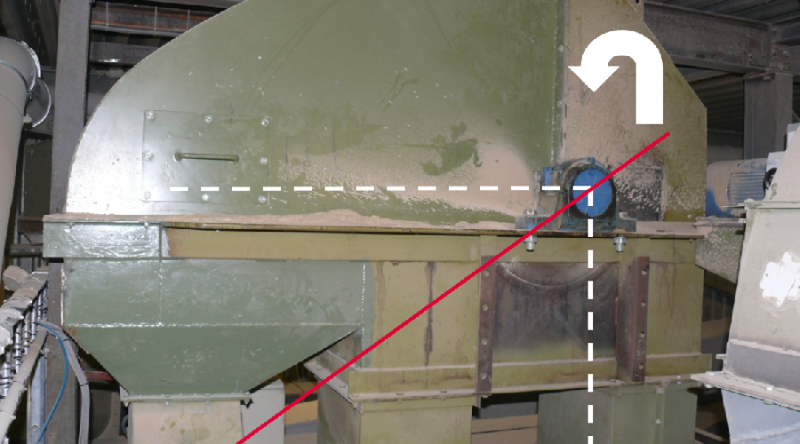 In this article, we will enter into a specific problem we often come across in more older elevators used in the agricultural sector, which is product taken down again in the return part of a bucket elevator, so called “back-legging”. What does this mean? Product that is not correctly or not discharged from the elevator bucket and is therefore dropped back into the down-going elevator leg. This may be because the elevators were designed for example in the nineteen eighties for a capacity of 70 tons per hour at a certain belt speed and the elevator was fed in the up-going elevator leg. At the time, only one type of product was transported with the elevator in question. However, over the following decades, the tonnage may have been increased to perhaps 100 tons per hour, transporting multiple products with a variety of densities at the same belt speed. In addition the feeding of the elevator could be both in the up-going and also in the down-going leg of the elevator. Because the product is ending up in the elevator boot section, the buckets need to dig up the product from the boot of the elevator, which leads to unnecessary wear and additional stress on the bucket elevator components and the required capacities are no longer realised. 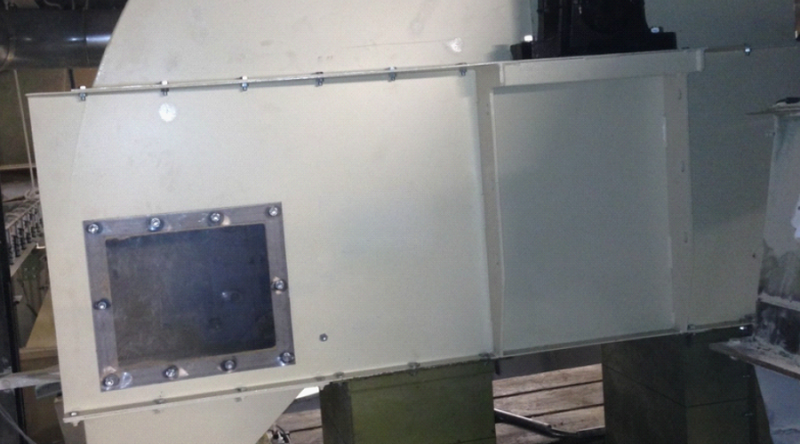 Extensive inspection of the installation allows us to study the problems. We analyse the existing situation and draw up a plan of approach in consultation with our engineering department. This plan of approach is presented to our customer, together with a specified quotation. Expert calculation of the correct drive and return pulley, elevator bucket, bucket formation, belt speed, and if applicable, adjustment of the construction itself allows us to successfully solve complex problems like the one described above. Do you have a question or problem for which you would like our support? Please do not hesitate to contact us. Our telephone number is listed below.